FOUNDED IN 1997. BUILDING BRANDS FOR GROWTH. Javacatz is a web and mobile design development agency that transforms businesses for the digital age. Since 1997, we have helped brands embrace the creative and technological changes revolutionising all aspects of their business. With over 15 years worth of experience and over 250 projects globally developing the most advanced web applications in the market, we have become one of the most trusted and reliable "one-stop" vendor and an international source of web designing and development. We build brands with 360 degrees solutions. 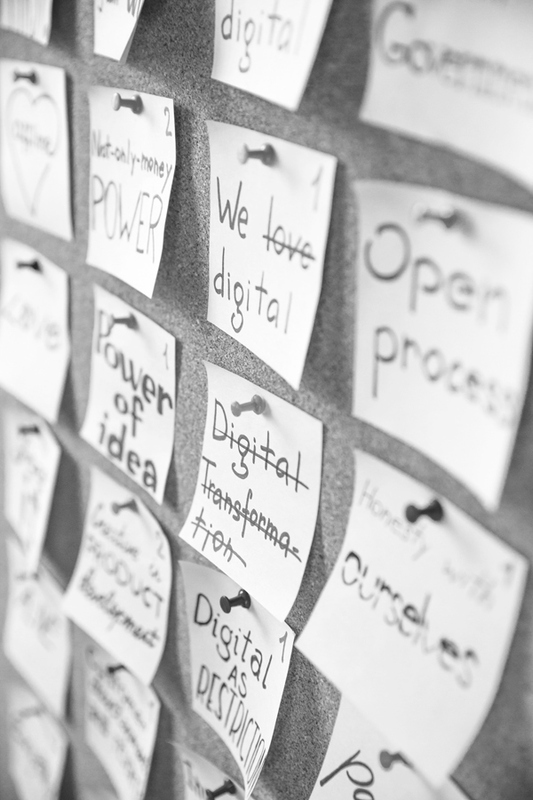 A full-service digital agency approach to grow your brand online. Its been a long journey, though we can comfortably lay claim to a very significant expertise in that we continue to invest in our clients and their online businesses. Whether it is a native, hybrid, or web app we can determine and execute the right plan for your mobile endeavour. A company logo and corporate identity – your brand – are the primary visual and emotional tools used to connect with your target prospects. It should not only identify the products and services of your company, but also differentiate it from your competitors. It is used to clearly convey the company’s purpose and values, confirming its credibility. When “plug and play” or “out of the box” software packages no longer meet the increasingly complex industry and IT needs of your growing business, it’s time to call the custom software developers at Javacatz. 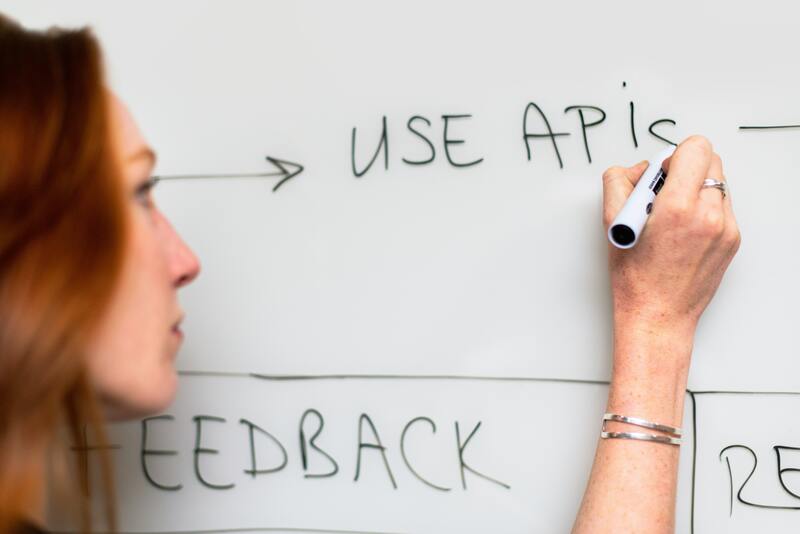 Software application development based on the distinctive business needs and processes that put your products and services above the competition. Software maintenance services to ensure the highest levels of application performance and business-critical levels of service. At Javacatz, we look at managed services as another way for you to make your IT functions and ultimately, your business, more profitable. Javacatz has designed and developed many websites for all types of customers: companies, municipalities or government related institutions. We always aim to identify client's individual needs and suggest a solution that will help them fulfill their primary business mission. Members of the Hong Kong Golf Club are eligible automatically in making advance bookings, modify or cancel bookings via the Member Tee Time Fanling Booking System. Timetables are available for members to book up to 14 days in advance. 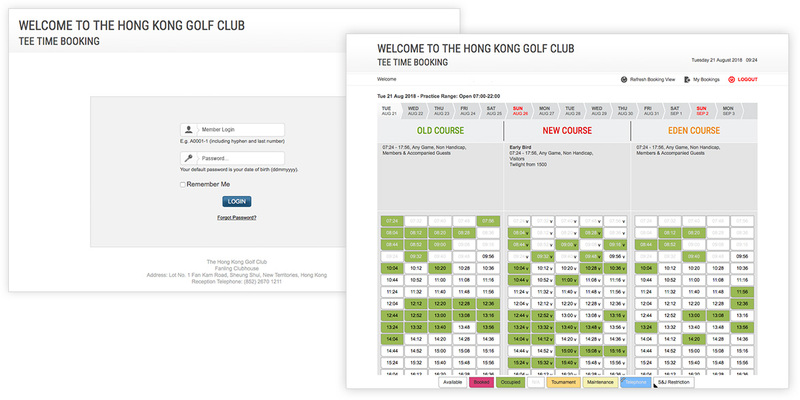 Hong Kong Golf Club staff has full control of the booking system, including setup course timetables, tournaments, or making bookings on behalf for members via the backend administration application. In addition, staff can search, view, modify, or delete member booking history. 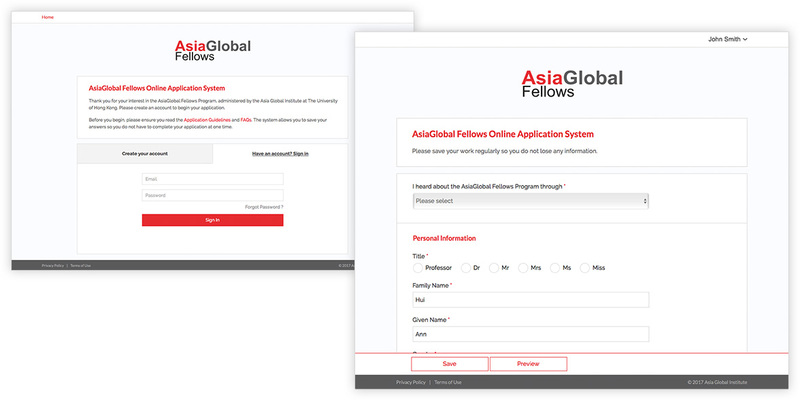 The AsiaGlobal Fellows Online Application system is a customized application submission system tailored for the AsiaGlobal Fellowship programs. By applying a new account with confirmation email, applicant can log in to fill in information required. The application process is extensive with great details including upload of supporting documents and the applicant needs to sign off at the end of the form as confirmation before the final submission. There is an option to save the uncompleted form and log in again later to complete the form. It is a very comprehensive process whereby automated email invitations are triggered to three different refereers, while the referees need to click in a system link to provide further information as supporting documentation per applicant. All application forms and reference letters are available at back end system portal for staff’s record once the full application cycle has been completed. Staff can also download submitted information in xls format for further data filtering. The admission application system of Delia School allows parents to apply, submit student documents and finially pay online. Parents are required to provide all information needed by filling in the form by sections. During the process, the form can be saved so parents can come back to it at another time. A reference number is issued per application for the parent's record once the application is fully completed. 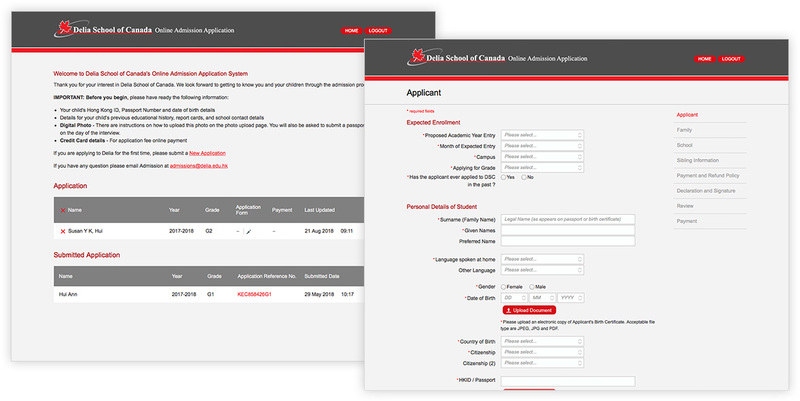 Once the application is submitted, Delia School of Canada receives the information and be able to view them individually at the back end portal, including all supporting documents acquired. All application can be downloaded into CSV for further data filtering; while each application will be assigned by a particular Delia staff for handling. 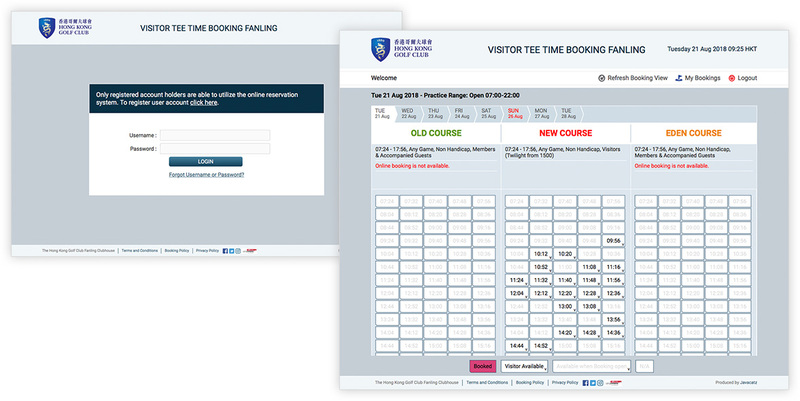 The visitor booking system allows the general public to book tee-times online to play the Fanling course. All players must register online with their Hong Kong Identification card or passport. Upon successful registration, players are then be able to make advance bookings, modify or cancel bookings via the system. 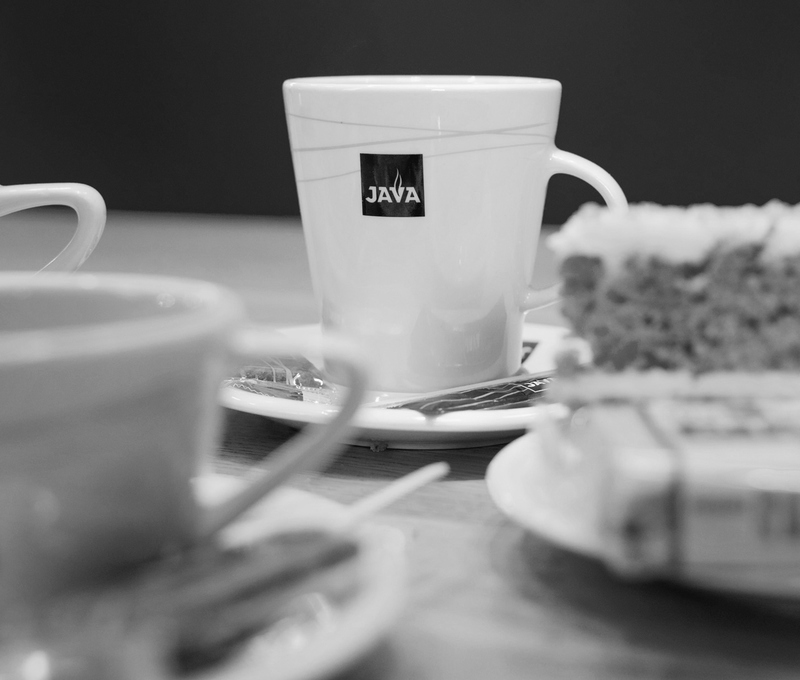 You won't find another interactive firm that provides Javacatz's breadth of services combined with our depth of expertise across multiple technologies. 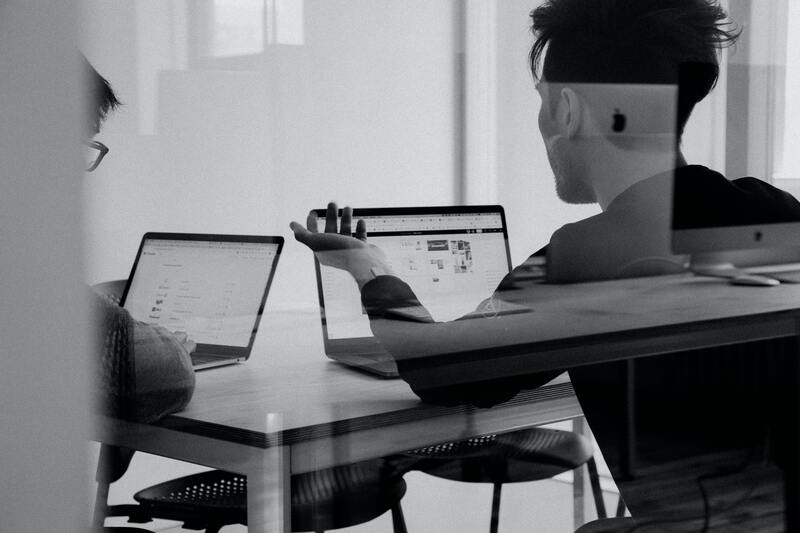 After 15+ years of successful projects for companies ranging from start-ups to the Fortune 10, we have the ability to rapidly understand your unique business environment. Javacatz provides industry specific web design, web development and maintenance services to a broad range of industries. In order to deliver relevant business results through strategic web solutions, it is crucial for us to understand the specific background of each client's industry. We have had the privilege of working with some of the biggest names in business as well as many exciting entrepreneurial and start-up companies. 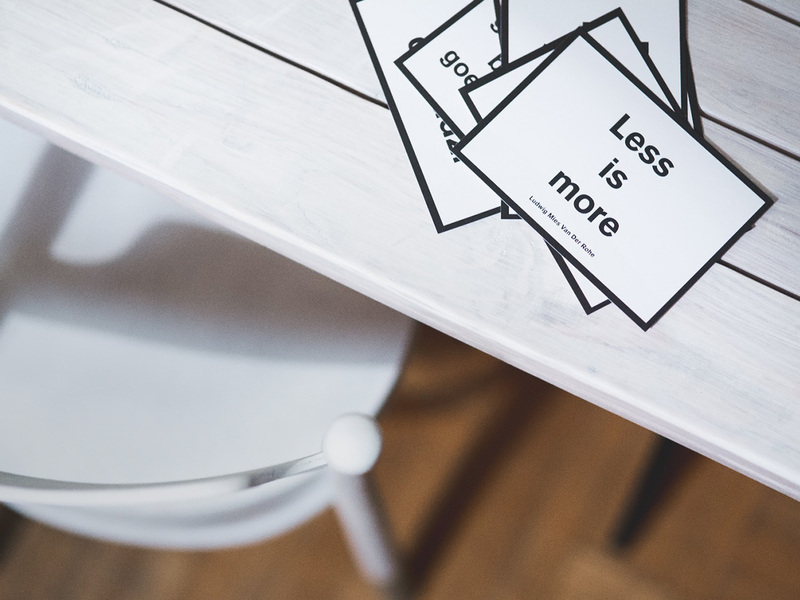 No matter what size the client, we are dedicated to providing the highest quality work and the greatest possible return on investment. The oldest cricket club in Asia will be relaunching their website by end of the year 2018! The new site is going to offer a streamlined responsive experience to its users in all platforms, as well as to provide a brand new fresh look for a change. The fully responsive new site allows member to login and manage their profile and facility bookings right at their fingertips. Stay tuned for more updates to this exciting project. Hong Kong's first British preparatory school for boys and girls aged 5 to 13 will be unveiling its new website early 2018 with a brand new entrance and perspective. With enhancement on mobile friendly layout and improvement on design, the new site is going to welcome audience with a impeccable and informative online experience. The project will be driven by a propriety content management system, along with News, Events and Online Admission. AsiaGlobal Fellows Program has launched its responsive website and application portal, allowing candidates to understand what the program has offered and complete the application online. The program is directed and administered by the Asia Global Institute (AGI) at The University of Hong Kong, a multidisciplinary institute which aims to bring Asian perspectives to global issues. Hong Kong Golf Club visitors will no longer need to wait over the phone for booking. Instead they will be able to make reservations online! Simply register at the new Hong Kong Golf visitor booking website, users can make new booking, edit booking, delete booking, or view all records via their registered account. 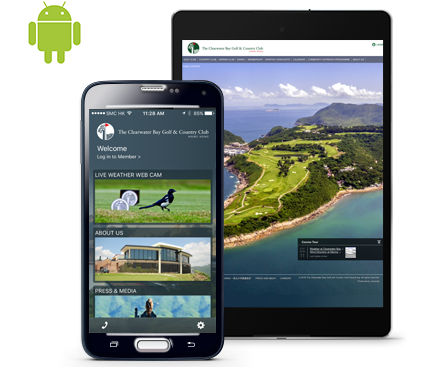 The mobile friendly site allows golf booking to be done anywhere you go! The new responsive website of The Garden International School showcases information about the kindergarten and primary section of the school located at Guangzhou, China. Managed completely with a content management system, the bilingual site can be easily updated by administrators with a user friendly platform. 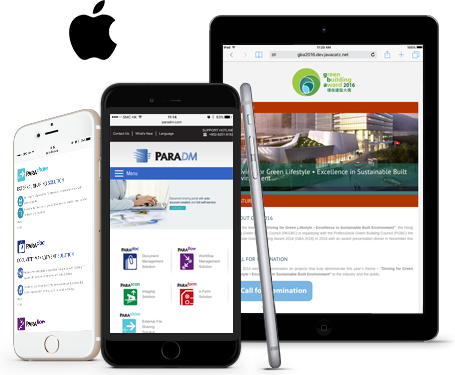 The new website design features a parallax scrolling format that allows for more content, storytelling and marketing messages on the homepage. In addition to the new website layout design, the user friendliness for mobile browsers and the accessibility of the website are also enhanced. If you have an interesting digital project, big or small, we'd love to hear from you or drop us a line. Javacatz can contact me over email with related information. These cookies are essential in order to enable you to move around the site and use its features. These are known as "First Party" cookies. Without these cookies, services like enabling appropriate content based on your type of device cannot be provided. We do not actively seek to collect information about children aged 12 or under, or create interest segments specifically designed for the purpose of targeting children. If you have any concerns about your child's privacy in relation to our Services, or if you believe that your child may have entered personally identifiable information onto our website, please contact us at office@javacatz.com. We may disclose personally identifiable information in response to legal process, for example in response to a court order or a subpoena, or in response to a law enforcement agency's request, or where we believe it is necessary to investigate, prevent or take action regarding illegal activities, and as otherwise required by law. Our agents and contractors may have access to personally identifiable information to help carry out the services they are performing for us. We may change this policy from time to time by updating this page. You should check this page from time to time to ensure that you are aware of any changes. This policy was last updated on 16 November 2016. Contact us if your information or choices change. Legal Department, Javacatz, GPO Box 8330 Central. Hong Kong. These terms and conditions of use ('Terms') govern the use of the website located at https://www.javacatz.com (the 'Website'). The Website is provided by Javacatz and with registered office address at GPO Box 8330 Central. Hong Kong. In these Terms, an individual visitor to the Website is referred to as 'you' and Javacatz is referred to as 'Javacatz', 'us' or 'we'. By proceeding to use the Website, you agree to be bound by these Terms, in their current form and as they may be amended by Javacatz from time to time. If you do not accept these Terms, you must discontinue your use of the Website immediately. We do not guarantee that the Website will be secure or free from bugs or viruses. You are responsible for configuring your information technology, computer programmes and platform in order to access the Website. You should use your own virus protection software. You must not misuse the Website by knowingly introducing viruses, trojans, worms, logic bombs or other material which is malicious or technologically harmful. You must not attempt to gain unauthorised access to the Website, the server on which the Website is stored or any server, computer or database connected to our Website. You must not attack our Website via a denial-of-service attack or a distributed denial-of service attack. By breaching this provision, you would commit a criminal offence under the Computer Misuse Act 1990. We will report any such breach to the relevant law enforcement authorities and we will co-operate with those authorities by disclosing your identity to them. In the event of such a breach, your right to use the Website will cease immediately. Nothing in these Terms excludes or limits our liability for death or personal injury arising from our negligence, or our fraud or fraudulent misrepresentation, or any other liability that cannot be excluded or limited by Hong Kong law. We are the owner or the licensee of all intellectual property rights on our site, and in the material published on it. Those works are protected by copyright laws and treaties around the world. All such rights are reserved. Nothing in these Terms operates to transfer, assign or grant any of those rights to you. You must not reproduce or use images, trademarks or names displayed on the Website other than for your personal use without written permission of the owner. Unless specifically prohibited by a notice published on any page, you may make a print copy of any parts of the Website that you require for your own personal use, provided that in doing so you do not remove or alter any trade mark, copyright or other proprietary notices contained in that part of the Website. Our status (and that of any identified contributors) as the authors of content on the Website must always be acknowledged. You must not use any part of the content on our Website for commercial purposes without obtaining a licence to do so from us or our licensors. These Terms are governed by the laws of Hong Kong and the courts have exclusive jurisdiction in any dispute arising out of or in connection with your use of the Website. To the extent that any part of these Terms is found to be invalid, unlawful or unenforceable by any court of competent jurisdiction such part shall to that extent be severed from the remaining terms all of which shall remain in full force and effect as permitted by law. If you have any queries or complaints regarding the Website or these Terms, please contact us at Legal Department, Javacatz, GPO Box 8330 Central. Hong Kong. These Terms were last updated on 10 November 2016.